Hey guys! I have a review for you today! 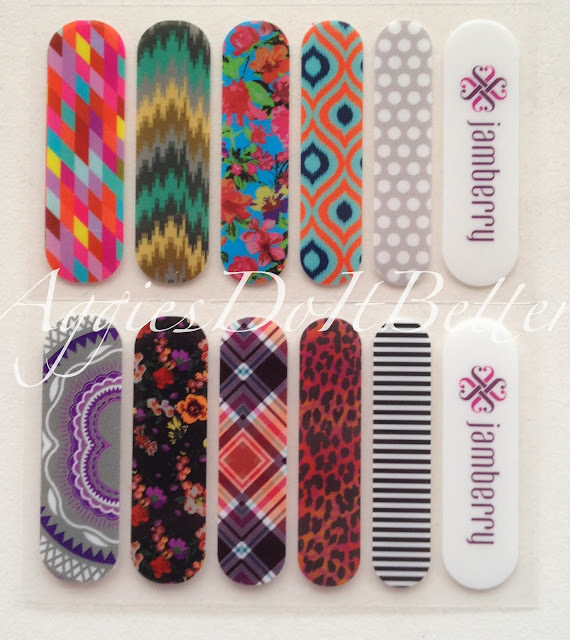 I received some Jamberry Nail Wraps for review. I've never used any kind of nail wrap before, nor do I know very much about them, so I was up for the challenge! I know they are commonly used on all fingers, but I thought they could have infinite possibilities as "accent nails" and PLUS they would last longer!! Here is the sample sheet I received. I also have a full (matching set) I will be reviewing in a couple weeks! It's a pink ombre, I'm pretty excited because we all know how terrible I am at gradients! These are various patterns in various sizes for different sized nails. Basically, you old them Over your nail (the backing is clear) and choose one that fits. You heat them with a blow dryer (or the Jamberry brand mini-heater) and apply them like decals to your nails. You cut them in half so each one can be used twice. Bonus! Very simple process, but it takes practice! I highly recommend watching the You Tube instructional video linked at the end of this post. My nails must be ginormo because I feel like the littlest ones were a little small. Those are the ones I used on my pinky. 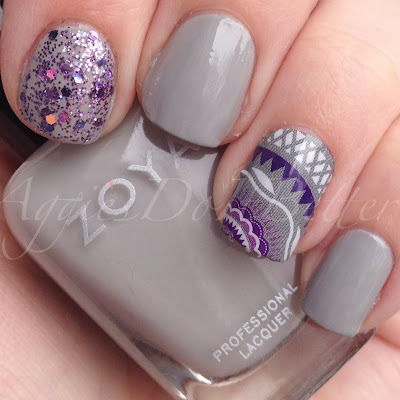 First up is the gray/white polka dots. I immediately went to my maroon and silver polishes with this one, because..... AGGIES DO IT BETTER. Next up is purple...I really love the pattern on this one. Like, Really. I'm really feeling purple lately, can you tell? This is a really pretty floral patten on a black background. I felt purple really brought out those flowers. And how gorgeous is OPI Dutch Ya Just Love OPI???? It has a beautiful golden shimmer running through it that my camera wouldn't capture because BOO NO SUN WINTER. Last up is a preppy look with plaid. I'm pretty terrible at straight lines with out tape so this is a design I would reach for often. These apply very easily, but I did have some issues getting them to not be wrinkled on the sides. It definitely takes practice and I got better with each one. Like I said before, I have a full set that will be up soon so I will get tons more practice! 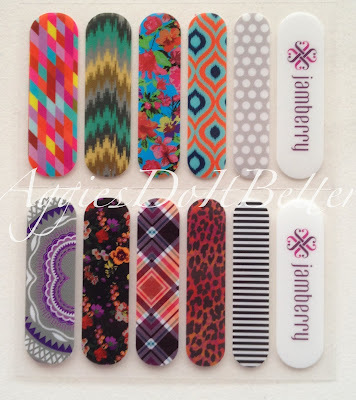 Jamberry Nails are nail wraps you can apply at home in fifteen minutes or less!! Lasting up to 2 weeks on fingernails and up to 6 weeks on toenails, these heat-activated beauties are sure to become a staple in your wardrobe. Disclaimer: These were provided to me for an honest review. My opinions are my true beliefs. I was not compensated for this post. I'm a Jamberry nails consultant, and I wanted to let you know that the bubbling is actually caused by putting the wrap on a nail bed that is too small. So, for that cute plaid wrap you put on your pink - you need a size smaller! The bubbles will magically disappear when that is done! :) I love Jamberry! I'm excited to see your review! Your polish application is incredible! I need lots of work on mine! Thanks for the awesome post! yes! I absolutely am a Texas Aggie! Sorry I'm just seeing this comment!